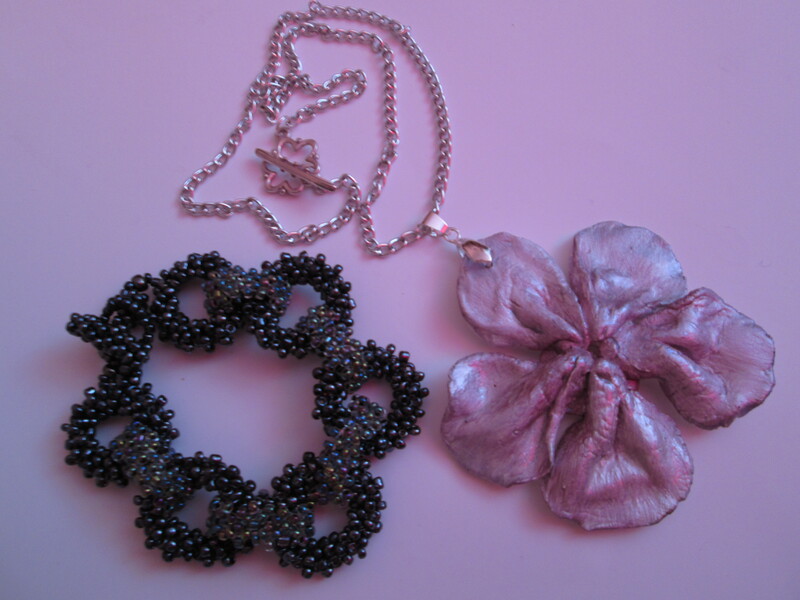 The flower is a porcelain pedant, made by hand in my studio and also the seed beads chain bracelet. For a chic daily outfit the match is gorgeous. Different things that goes well together. Well, I don`t do only museum jewelry creations :). I do wearable also.